Eddie Marahare takes over after polling the most votes in a three-way contest that included the incumbent Patrick Miniti and Francis Loxie. Miniti finished in second place and consequently lost the GFA presidency, a position he has held for the last seven years. Former general secretary, Stanley Tahiana, was voted in as the new vice-president while his former position went to Chris Tavea. Fr. Reginald Tohu is the new treasurer and the ordinary members are David Tete, Loxie and Miniti who made sure he remains in the GFA executive with his second nomination. Marahare who hails from Marau Sound on eastern Guadalcanal has been involved in football for more than 20 years after starting out as KOSSA player in the early 1990s. He also represented Solomon Islands in 1992 with the Under-21 national team that defeated Fiji in their tour of Honiara. He currently works at the Forum Fisheries Agency in Honiara. 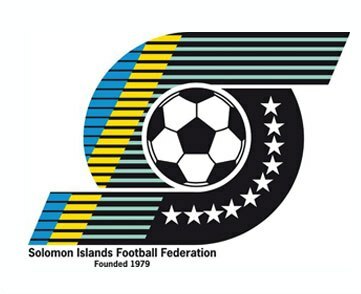 The 42-year old stated that his vision for football in Guadalcanal is to be based on sound grassroots development programs while not foregoing existing events the GFA already has in its calendar. “My executive will work hard to implement programs that address grassroots and also youth level development. We aim to be effective and united with our new vision and at the same time build upon what GFA already has,” Marahare says. Marahare outlined that priorities will be to support Just Play in Guadalcanal and at the same time promote programs for players at the Under-17 and Under-19 level. Beyond that his executive will also work with constituencies to organise leagues and other programs.